The Healthy Moms Magazine and Mom’s Natural Health and Wellness Shop is excited to be participating in The Ultimate Blog Party 2011 hosted by 5 Minutes For Mom.com. The blog party takes place on April 1-8 and is a great opportunity for bloggers to network, connect and win great prizes. This year we are donating a Derma e skin care package valued at $30.00. Derma e is one of the best all natural skin care companies. We are very proud to carry their line of award winning products. 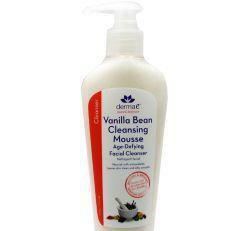 Derma e natural skin care products are available to purchase at Moms Natural Health and Wellness Shop. You can also purchase them at our Amazon.com store. Retinol (Vitamin A) is one of the most effective natural exfoliants used for skin cell renewal. It will help diminish the appearance of fine lines, crow’s feet, and wrinkles. Blended with Green Tea, a powerful antioxidant , this product is especially beneficial for sun or environmentally damaged skin. Green Tea is also both anti-inflammatory and anti-bacterial. derma e®’s premium Vitamin A anti-wrinkle moisturizer is blended with synergistic skin nutrients, and contains an impressive 20,000 I.U. of Retinyl Palmitate per 100 grams for maximum cell renewal action. Daily application of this unique blend will leave the skin more refined and will diminish the visibility of skin irregularities. Ingredients: Water (Aqua), Glycerin, Caprylic/Capric Triglyceride, Organic Simmondsia Chinensis (Jojoba) Seed Oil*, Glyceryl Stearate, Organic Camellia Sinensis (Green Tea) Leaf Extract*, Cetyl Alcohol, Stearyl Alcohol, Retinyl Palmitate (Vitamin A), Tocopheryl Acetate (Vitamin E), Dimethicone, Phenoxyethanol, Ethylhexylglycerin, Potassium Sorbate. This silky-rich lathering mousse is fortified with age-defying antioxidants like Pycnogenol and Green Tea to help nourish as you cleanse. Rich in sea kelp and herbs to lift impurities for vibrant, clean, smooth skin. Gently lather cleanser in moistened hands, then massage over face and neck, and rinse thoroughly with water. Use morning and evening. Follow with derma e Vanilla Bean Revitalizing Toner and your favorite derma e moisturizer. Water (aqua), Cetearyl Alcohol and Polysorbate 60, Stearyl Alcohol, Cetyl Alcohol, Disodium Laureth Sulfosuccinate, Glycol Stearate, Cocamidopropyl Betaine, Cocamikopropylamine Oxide, Allantoin, Panthenol, Organic Chamomilla Recutita (Matricaria) Flower Extract*, Organic Camellia Sinensis (Green Tea) Leaf Extract*, Equisetum Arvense (Horsetail) Extract, Cymbopogon Schoenanthus (Lemon Grass) Extract, Organic Aloe Barbadensis Leaf Extract*, Pinus Pinaster (Pycnogenol) Bark Extract, Glycerin, Macrocystis Pyrifera (Sea Kelp) Extract, Citric Acid, Vanilla Plantifolia Fruit Extract, Phenoxyethanol, Ethylhexylglycerin. The total value of this prize package is approximately $30.00. Please visit Five Minutes For Mom.com to enter to win. We also invite all Healthy Moms Magazine Readers to participate in The Ultimate Blog Party 2011.
i keep avocado on hand at all times. it's versatile and it's easy. if i *really* don't have any time to prepare anything, i just open it and eat it as is. but it's good with everything. I currently get “Parenting” and it is just so bland. Any magazines that offer a more diverse look at kids and parenting? I want to see real kids of all shades, hair colors and textures, and eye colors. I also would like a magazine that has more to offer than one boring article after the next. Any suggestions? My arms are really tanned. When i take off my shirt i can see a big contrast between my stomach and my arms. Is there a way that I can recover my natural skin color on my arms?